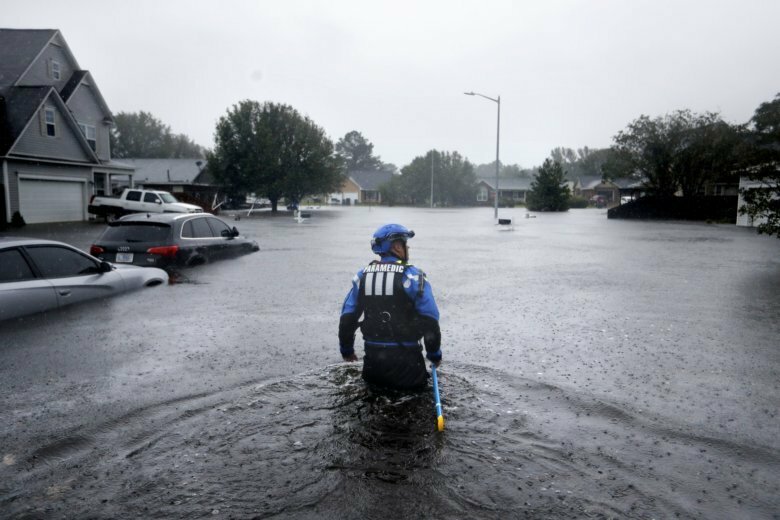 Catastrophic flooding from Florence spreads across the Carolinas with Wilmington virtually cut off by the deluge and the vast storm system now over several states. A Philippine mayor says it’s unlikely any of those thought buried in a landslide set off by Typhoon Mangkhut will be found alive in the chapel they had sheltered. Christine Blasey Ford alleges that a drunken Brett Kavanaugh groped her and tried to take off her clothes at a party when they were teens, the Washington Post reports. A new cache of internal WikiLeaks files obtained by the AP shows that WikiLeaks staffers discussed having the ex-hacker skip bail and escape Britain as authorities closed in. The South Korean president says he will push for “irreversible, permanent peace” and for better dialogue between Pyongyang and Washington during talks with the North Korean leader this week. The newest tool in the fight against opioid overdoses is an inexpensive test strip that can detect the presence of fentanyl, a potentially deadly painkiller. Returning to the stump poses challenges for him and the Democratic Party as he has struggled to turn admiration for him into votes when he’s not on the ballot. Amazon Storefronts will only list products sold by small- and medium-sized businesses in the U.S.
“The Handmaid’s Tale,” ”Game of Thrones” and “Atlanta” are the top contenders on television’s biggest night. The Cowboys’ quarterback threw a 64-yard touchdown early and Dallas’ defense sacked New York’s Eli Manning six times to take the NFC East matchup.